Which game will emerge victorious from our face-off? 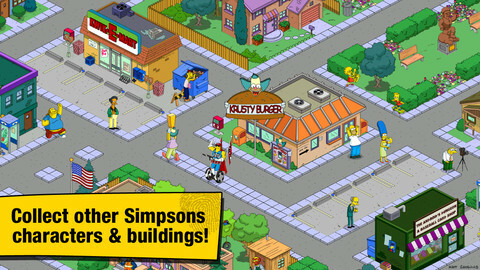 The Simpsons: Tapped Out isn't the only game to offer up fiendishly frenzied expansion and tapping delights but, let's be honest, it puts the competition in the shade when it comes to content and polish. 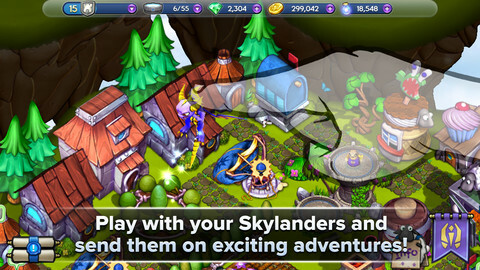 Or at least, that was the case until last week when we got our hands on Activision's frighteningly moreish Skylanders Lost Islands. This got us thinking about which of the two games offered up the greatest free-to-play experience? Would the winner be The Simpsons: Tapped Out, with its fantastic collection of famous characters, or would Skylanders' creature collecting addiction win us over? Read on to find out who wins the battle between these two mobile gaming heavyweights. Which game has the best characters? Skylanders has certainly caught the imagination of a whole new generation of gamers, but The Simpsons is a franchise that's an obsession for both kids and adults alike. Sure we love the roster of Skylanders included in Lost Islands, and we can never get enough Spyro in our gaming lives, but compared to exploring the worlds, habits, and humor of Homer, Bart and friends? 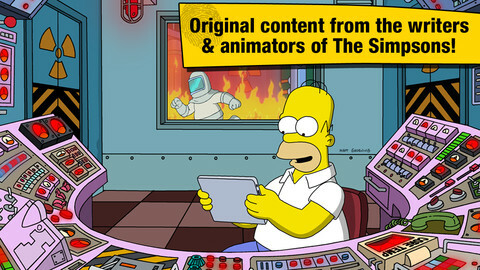 There's no competition, and The Simpsons: Tapped Out seems very safe for now. The Simpsons: Tapped Out does what it sets out to do incredibly well: replicate The Simpsons experience faithfully in a videogame, but we have to admit we prefer the animations and complexity of Skylanders Lost Islands. From the characters and locations, to the beautiful artwork whenever you summon in a new Skylander, we'll have to opt for the young pretender in this round. Which game has the best locations? 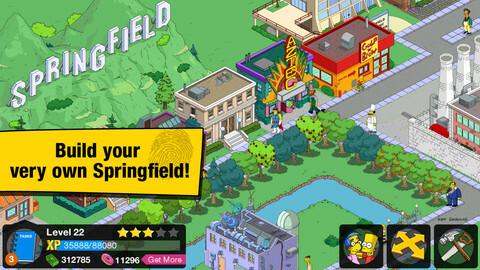 The Simpsons: Tapped Out packs in every famous location you can think of from the world's favorite cartoon, from Apu's Kwik-e-Mart, to the famous statue of Jebediah Springfield himself. Skylanders offers up a beautiful land to explore and expand within, but it puts a much tighter focus on the characters instead. Consider this round as going to The Simpsons Tapped Out. Which game is the most satisfying to tap away at? 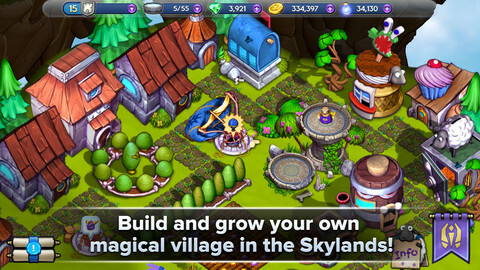 Both games do a fantastic job of keeping you hooked into expanding your territory, collecting the rewards from your jobs and goals, and compelling you to take part in just one more activity, but we have to say that Skylanders Lost Islands delivers the biggest reward punch. As we mentioned in our review, every single, tiny finger-press of the screen is rewarded with color, fanfare and an incredibly tactile response. It's a tough call, as both are more than competent, but Skylanders just about edges the win in this round. Which game has the best missions and goals? While part of us likes the fact that in Skylanders you can send your heroes off adventuring on their own, it's a strictly hands-off affair where they vanish and return with the goodies. In The Simpsons: Tapped Out, on the other hand, you very often get a much clearer view of what everyone's getting up to and get a real sense of their involvement with the game. Both methods serve their purpose, and both could arguably be improved, but this is another round for The Simpsons: Tapped Out. Both of these games will not only keep you entertained for hours, but do so without you having to spend a single penny. In that sense you can't go wrong with either, but with three wins under its belt The Simpsons: Tapped Out is today's top title.